An accomplished player and teacher, Ryan grew up in Northwest Ohio and excelled in junior golf before playing Division 1 Collegiate Golf on scholarship at Eastern Michigan University. After college, Ryan began his professional career at Kettering Country Club (1996-1997), Highland Meadows Golf Club (1998-2000), and then Belmont Country Club (2001-2005) in Ohio. He also competed on various Mini-Tours throughout Florida and still competes in Michigan PGA Section and Chapter Events. From 2006 to 2007 he was at the prestigous Oakland Hills Country Club in Bloomfield Hills, MI. 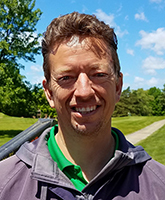 In 2008, Ryan took over as the Head Golf Professional at Tecumseh Country Club, which transitioned into Hantz Golf Club of Tecumseh in 2011. Ryan currently resides in Adrian, MI with his wife Amanda, and their two children Ethan and Emma. Ralph Schumann, Hantz Golf Club of Tecumseh's Golf Course Superintendent. Born and raised in Toledo, Ohio graduated from Toledo St. John's Jesuit High School. 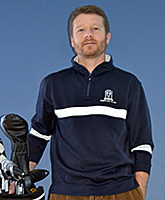 In 2001, received an AS degree in Golf Course and Sports Turf Management from Cuyamaca College in El Cajon, California. After graduation, Ralph transferred to Michigan State University to study cool season turfgrass, majoring in Turfgrass Management. While studying at MSU in 2002, Ralph became 2nd Assistant Superintendent at Woodlawn Golf Course in Adrian, Michigan. In 2003, he accepted the 1st Assistant Superintendent position at Tecumseh Country Club to the present Hantz Golf Club of Tecumseh.